On Vater website, Atom describes why he uses Vater Percussion's Drumsticks and the type. 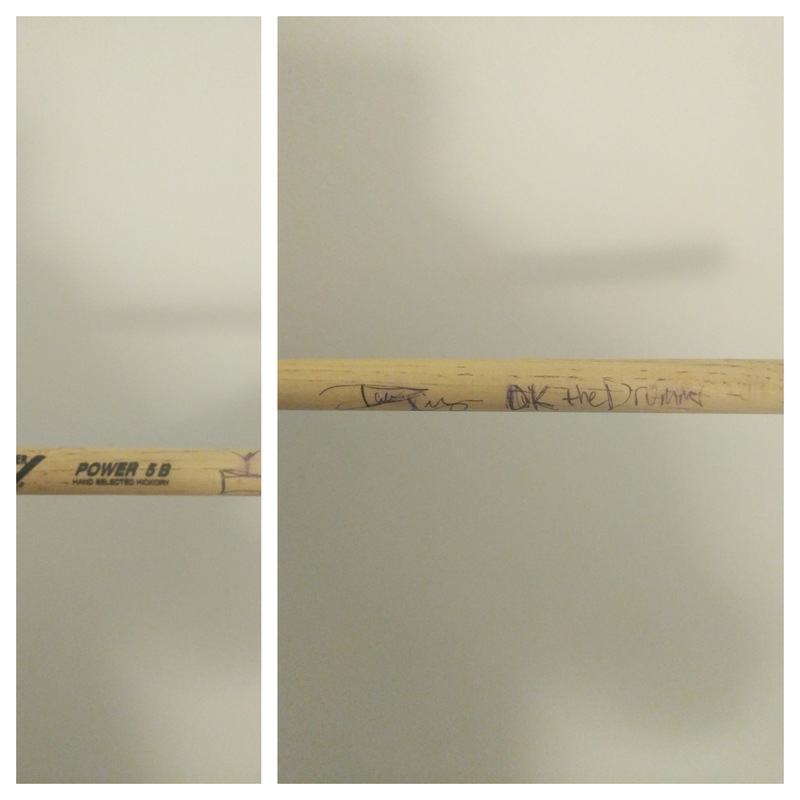 Caught this stick at a solo show in NYC. Signature is his (but is on the other side of the stick as the branding, hence two pictures). This stick is very thick for a nice big sound on a drum kit. The added length also creates a big sound and gives the player extra reach around the kit, which is another great quality of this stick.